Mikhail Rodzianko, the son of a wealthy landowner, was born in Ekaterinoslav, on 9th March, 1859. A senior army officer, Rodzianko became involved in politics and favoured an extension of democracy in Russia. Rodzianko was elected to the third Duma and in March, 1911, became its leader. He was a loyal supporter of Nicholas II but was willing to criticize failings in his administration. He strongly disapproved of Gregory Rasputin and during the First World War told the Tsar that he believed him to be a German spy. He told the Tsar: "I must tell Your Majesty that this cannot continue much longer. No one opens your eyes to the true role which this man (Rasputin) is playing. His presence in Your Majesty's Court undermines confidence in the Supreme Power and may have an evil effect on the fate of the dynasty and turn the hearts of the people from their Emperor". Alfred Knox later claimed "I saw Rodzianko for a moment and told him that I was frightened that things were taking a turn that might endanger the continuance of the war." Rodzianko replied: "My dear Knox, you must be easy. Everything is going on all right. Russia is a big country, and can wage a war and manage a revolution at the same time." Rodzianko was aware of the serious problems that faced the country and in 1916 he tried to persuade Nicholas II to introduce reforms and to appoint a Duma government. On 10th March, 1917, the Tsar had decreed the dissolution of the Duma, but Rodzianko before he knew of this decree, had sent the following telegram to the Tsar: "The situation is serious. There is anarchy in the capital. The Government is paralysed. Transport, food, and fuel supply are completely disorganised. Universal discontent is increasing. Disorderly firing is going on in the streets. Some troops are firing at each other. It is urgently necessary to entrust a man enjoying the confidence of the country with the formation of a new Government. Delay is impossible. Any tardiness is fatal. I pray God that at this hour the responsibility may not fall upon the Sovereign." On 13th March, 1917, the Russian Army High Command recommended that Nicholas II abdicated. Two days later the Tsar renounced the throne. 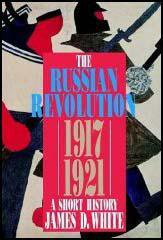 The Tsar and his immediate family were arrested and negotiations began to find a place of overseas exile. P. N. Milyukov persuaded David Lloyd George, to offer the family political asylum in Britain. However, George V, who feared that the presence of Nicholas would endanger his own throne, forced Lloyd George to withdraw the offer. Rodzianko supported the Provisional Government but disapproved of Alexander Kerensky and encouraged Lavr Kornilov to march on Petrograd in August, 1917. Harold Williams believed that the Kornilov Revolt dramatically changed the situation and dramatically increased the influence of the Bolsheviks: "The Kornilov Affair has intensified mutual distrust and completed the work of destruction. The Government is shadowy and unreal, and what personality it had has disappeared before the menace of the Democratic Assembly. 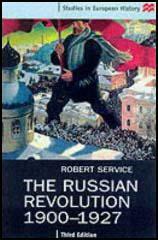 Whatever power there is again concentrated in the hands of the Soviets, and, as always happens when the Soviets secure a monopoly of power, the influence of the Bolsheviks has increased enormously. Kerensky has returned from Headquarters, but his prestige has declined, and he is not actively supported either by the right or by the left." After the October Revolution Rodzianko emigrated to Yugoslavia. During his last few years he lived in poverty. Mikhail Rodzianko died on 24th January, 1924. (1) Michael Rodzianko, the President of the Duma, later wrote about the role of Rasputin during the First World War in his book, The Fall of the Empire. Profiting by the Tsar's arrival at Tsarskoe I asked for an audience and was received by him on March 8th. "I must tell Your Majesty that this cannot continue much longer. No one opens your eyes to the true role which this man (Rasputin) is playing. His presence in Your Majesty's Court undermines confidence in the Supreme Power and may have an evil effect on the fate of the dynasty and turn the hearts of the people from their Emperor". My report did some good. On March 11th an order was issued sending Rasputin to Tobolsk; but a few days later, at the demand of the Empress, the order was cancelled. (2) On 15th March, 1917, Alfred Knox visited Mikhail Rodzianko, the President of the Duma. I saw Rodzianko for a moment and told him that I was frightened that things were taking a turn that might endanger the continuance of the war. He said: "My dear Knox, you must be easy. Everything is going on all right. Russia is a big country, and can wage a war and manage a revolution at the same time." It was, however, precisely because Russia was a big - and unwieldy - country that the situation was dangerous. In Petrograd there were some 219,000 factory hands and some 150,000 mutinous troops, and these constituted inflammable material that was internationalists were working day and night to ignite. Leaflets were distributed advocating the murder of officers. The outlook was black.